To commemorate 25 years of service, each month this year the Armenian EyeCare Project will feature a key element of our organization that has allowed us to bring eye care to the people of Armenia. Last month, we shared the story of our Mobile Eye Hospital — an eye clinic on wheels that travels throughout Armenia to provide care. This month, we write about our partnership with USAID, which has made it possible for us to offer eye care to the most vulnerable in Armenia. 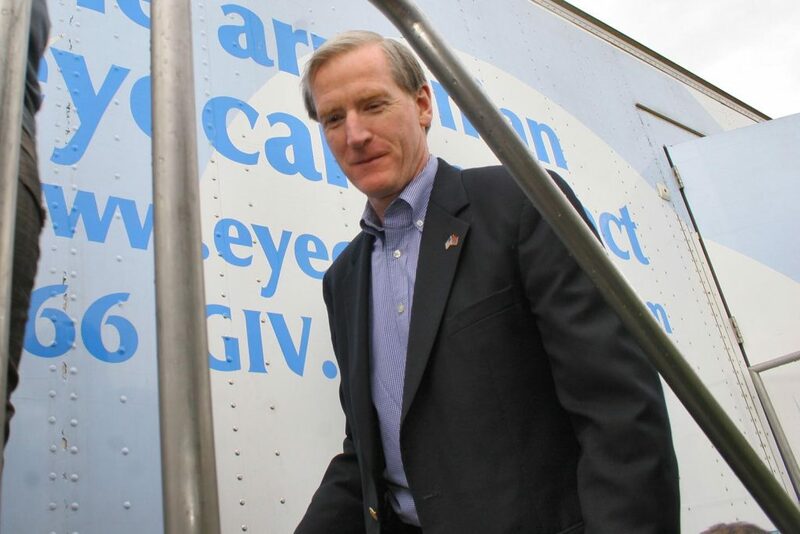 Our work with USAID began in 2004, when the U.S. government agency gave the Armenian EyeCare Project a $750,000 grant to help the most financially vulnerable in Armenia — poverty-stricken and often living in remove villages with little-to-no access to medical care — receive eye care at no cost. Dubbed “Bringing Sight to Armenian Eyes: A Primary and Ophthalmological Health Care Alliance,” the joint USAID-AECP program was designed to make sustainable, high-quality healthcare services more accessible in Armenia, to encourage more people in the country to use these services, and, ultimately, to eliminate preventable blindness in Armenia. Our job was to integrate this successful health care system in Armenia, and through its execution, improve the health of the Armenian people — evolving the country into a society that practices healthy behaviors and has access to quality care. When asked why USAID decided to work with the Armenian EyeCare Project to develop this program, the agency cited our organization’s “impressive track record” and already successful programs, like our Mobile Eye Hospital touring through Armenia offering care, as a major reason. With a focus on four basic service strategies — (1) outreach, screening and treatment of vulnerable populations; (2) medical education and training for regional ophthalmologists, primary care physicians and ancillary personnel; (3) public communication and education; and (4) medical and data research — the USAID-AECP partnership was so successful in its initial years that the foreign aid agency decided to renew its grant to our organization. 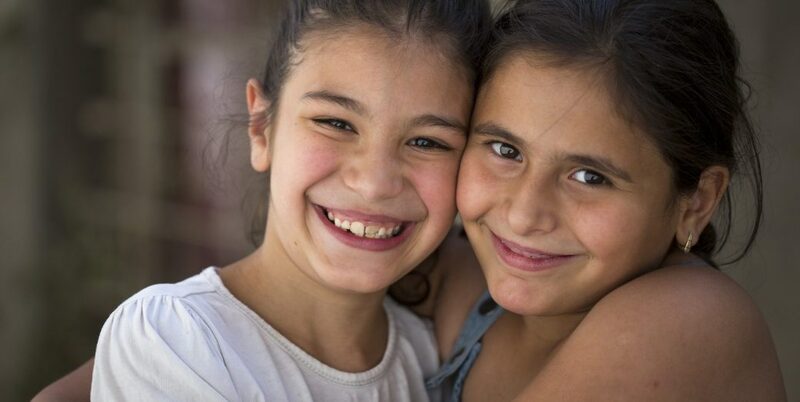 In 2007, the AECP received an additional $800,000 to continue our progress in Armenia for an additional four years. In its seven-year duration, from 2004 to 2011, the “Bringing Sight to Armenian Eyes” program made it possible for 244,652 individuals to be screened by AECP staff in villages and other vulnerable areas in Armenia. Of these individuals, over half — or 125,652 — were children. As well, more than 10,000 patients received surgery and nearly 40,000 eyeglasses were distributed — all at no cost. Focusing primarily on the poorest rural and urban communities of Armenia, our services included eye screenings for adults, children, and the elderly; the distribution of eyeglasses to socially vulnerable populations; and detailed eye exams, laser treatment and surgery for those who needed it. 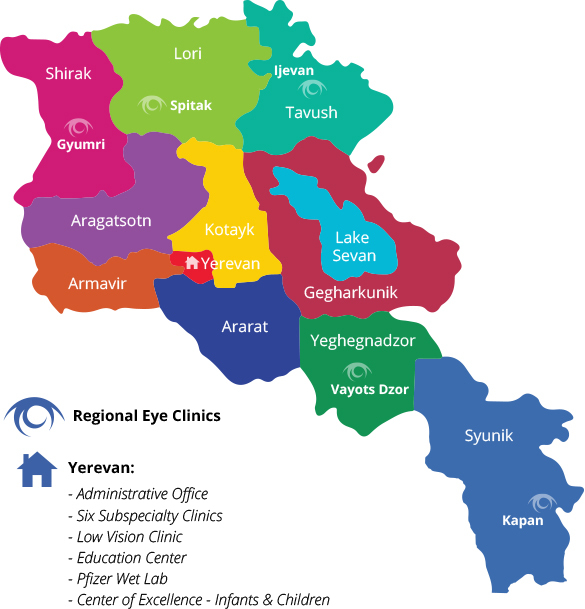 Our Mobile Eye Hospital made scheduled visits to different regions throughout Armenia, visiting underserved areas where access to eye care is extremely limited due to geography, funds, and non-existence of such services. Through its joint program, USAID and the AECP also addressed an area of healthcare that was outside the financial ability of Armenia’s Ministry of Health and neglected within Armenia’s primary healthcare system: medical education and training. The “Bringing Sight to Armenian Eyes” initiative made it possible for the AECP to train thousands of family practitioners, nurses and regional ophthalmologists in the basic principles of eye care and also provide intensive practical sessions aboard the Mobile Eye Hospital to give these medical staff an opportunity to practice those skills learned in the lecture hall. In total, 1,946 health care providers — including 61 regional ophthalmologists and 37 ophthalmic nurses — were trained in general eye care and eye diseases. Because a major element of the USAID-AECP partnership was to create a health-competent society in Armenia, public education was an integral part of the program. Through the duration of the initiative, over 500,000 public education handouts were distributed and 358 public education classes were organized, being attended by 9,229 children and 843 adults. As well, patients treated by AECP-trained Armenian physicians were given individual instruction on the importance of self-care and prevention. One particularly proud moment of our “Bringing Sight to Armenian Eyes” program came in 2006, when the AECP was greeted with a visit from high-ranking U.S. government officials to see first-hand what the AECP-USAID partnership had made possible for people in Armenia. On a Sunday afternoon in April, the US-Armenia Task Force — a group of officials from the U.S. government and Armenia government — climbed aboard our Mobile Eye Hospital to observe its activities and to see the joint USAID-AECP effort in progress. Inside the mobile clinic, the group watched eye surgeries, observed eye exams, and talked with patients and their physicians. Singled out as a success story, the AECP was proud to demonstrate an effective U.S. government assistance project in action to agencies like the U.S. Department of Justice, U.S. Department of State, U.S. Embassy of Armenia, and, of course, USAID-Armenia. Perhaps most impressive is the fact that after our seven-year program with USAID to “Bring Sight to Armenian Eyes,” the foreign aid agency opted to invest in the work of our organization yet again. This time, it was to combat a different issue in Armenia: the increase of blindness among infants and children due to a debilitating eye disease called Retinopathy of Prematurity, or ROP, only found in premature babies. Stay tuned for that story in the coming months.